The lowest dose which effectively will eliminate an individual’s withdrawal symptoms to opioids. 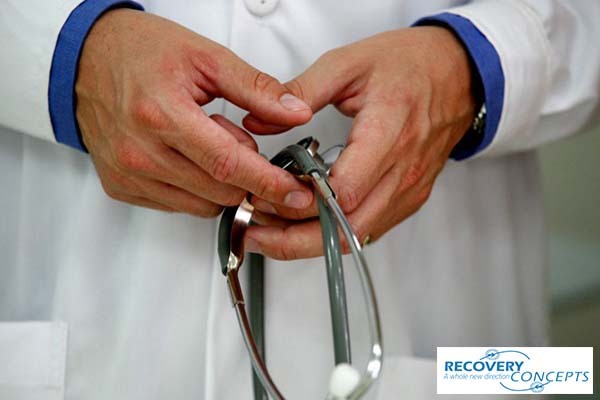 The objective in utilizing opioid replacement therapy includes removing the uncomfortable day-to-day withdrawal which interferes with an individual’s capability of normal functioning. The level of opiate withdrawal sickness differs from one person to another as does the severity of each individual’s opioid addiction. As an individual’s tolerance and dependency to opioids builds up over time, they discover that they require higher quantities of opioids or stronger opioids to eliminate their symptoms of withdrawal. How does Will the Center decide How Much Methadone Is Needed? Induction is a treatment which carefully is followed by the center’s clinical staff to slowly assist a new patient in adjusting to their methadone medicine. Patients typically are started upon a safe methadone dose which introduces a low threat of overdose, and their dose then is increased every couple of days until the individual arrives at a dosage that successfully eliminates their withdrawal symptoms to opioids. Historically within methadone treatment centers, it’s within this period of induction when an individual is at a higher accidental overdose risk. For this reason, reputable centers begin their patients upon a safe dose and gradually raise the medicine level as the individual become adjusted to the medicine. Beginning a patient on a high methadone dose or raising the dosage too rapidly may put the individual in jeopardy of an accidental overdose. Well-managed, high-quality centers carefully will observe their patients while in the induction and cooperate with them to get them to a dosage level that is comfortable as soon as possible, yet without taking unneeded risks. The Clinical Opiate Withdrawal Scale (COWS) includes an evaluation tool which is utilized to measure the extent of an individual’s withdrawal from opioids. The tool assesses the severity and presence of different withdrawal symptoms (such as restlessness, tremor, sweating, chills, nausea, etc.). It helps medical staff in deciding the necessity for a medicine increase an amount of increase which should be offered. What is the Average Dose for Most Patients? The average methadone dose is 80 milligrams to 120 milligrams for most individuals. Importantly, there will include a substantial amount of individuals who are very comfortable under 80 milligrams and numerous patients who might require over 120 milligrams. Dosing is extremely individualized. What will work best for one individual might not work well for an additional one? The proper methadone addiction treatment dose will be that which eliminates opioid craving and withdrawal sickness, and that permits a patient to refocus on their goals and life.